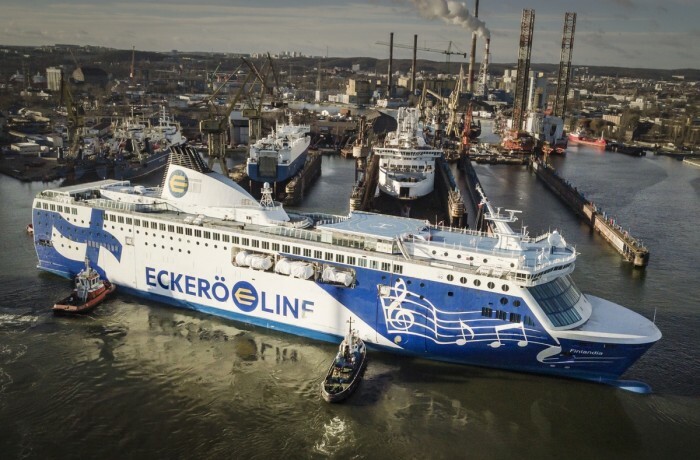 Finnlines’ EUR 70 million Energy Efficiency and Emission Reduction Investment Programme is progressing well – first lengthened vessel has been redelivered from shipyard – Remontowa SA in Gdansk, Poland. 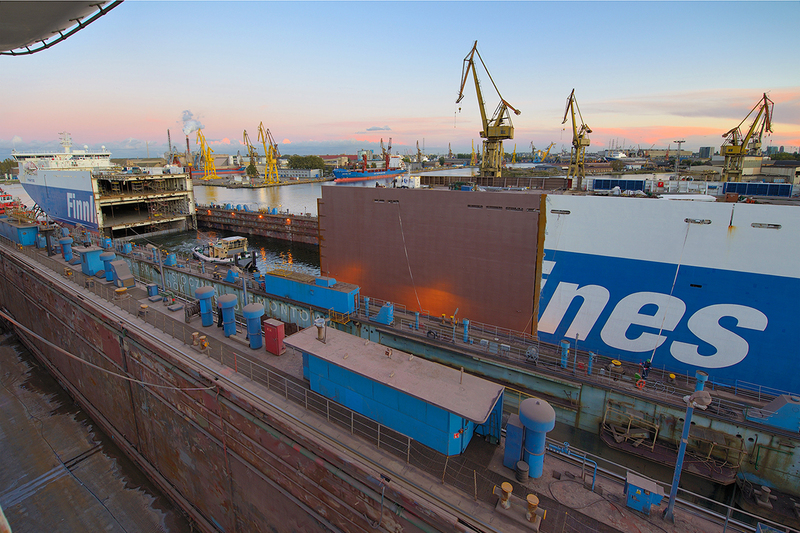 The lengthening programme of Finnlines’ vessels is in full swing. Finnlines has finished the first lengthening project at Remontowa SA and the first “Breeze” series ro-ro vessel is now lengthened by approximately 30 metres. Finntide, delivered in 2012 from the Chinese Jinling shipyard, arrived in Gdansk on 25 September 2017. 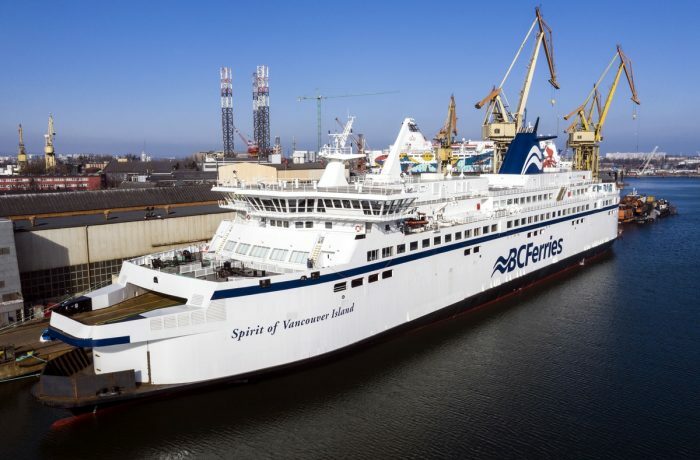 As planned, the vessel was cut in two and a 30-metre section was inserted between the parts. The sections were welded together again, and around 1,000 additional lane metres were added to the vessel capacity. The close to 30% capacity increase will considerably reduce the energy consumption per transported unit compared to the original vessel. In other words, it will improve energy efficiency further and thus contribute more to reducing emissions. 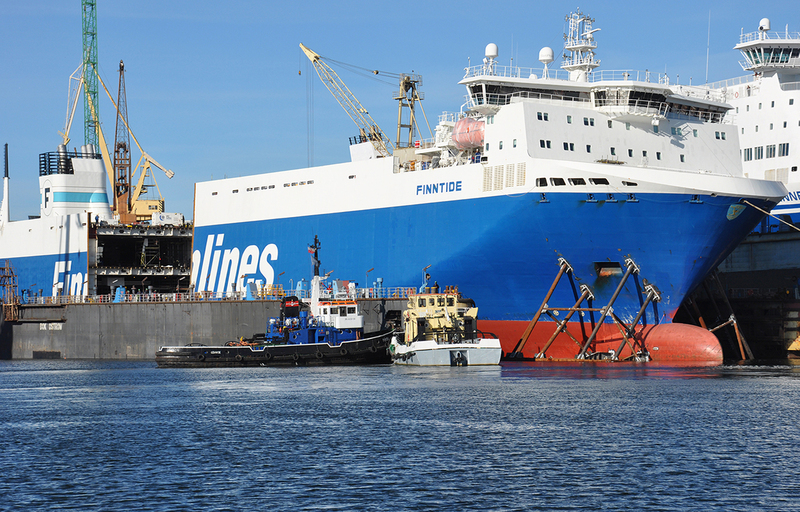 After the modification, Finntide is 217.77 metres long and has a capacity of 4,213 lane metres. In practice, around 1 km of trucks more per ship can be hosted on board. Finntide’s lengthening is part of Finnlines’ Energy Efficiency and Emission Reduction Investment Programme, which was launched this year. Through this EUR 70 million investment programme, the Company will lengthen four of its “Breeze” series ro-ro vessels with options for two more ships. The whole lengthening programme will be completed by May 2018. Finntide will return to the normal operation on Uusikaupunki/Turku – Travemünde route on 26 November 2017. The next vessel to be converted leaves for the same shipyard on 28 November 2017. “Finnlines has continued to invest in its fleet to become a more environmentally friendly and a more sustainable shipping company. We continue to optimise our operations and seek for growth in order to strengthen our competitive position. In response to growing demand, we are expanding our fleet capacity through this lengthening programme. This way we can serve our customers better and grow together with them,” says Tom Pippingsköld, CFO of Finnlines. 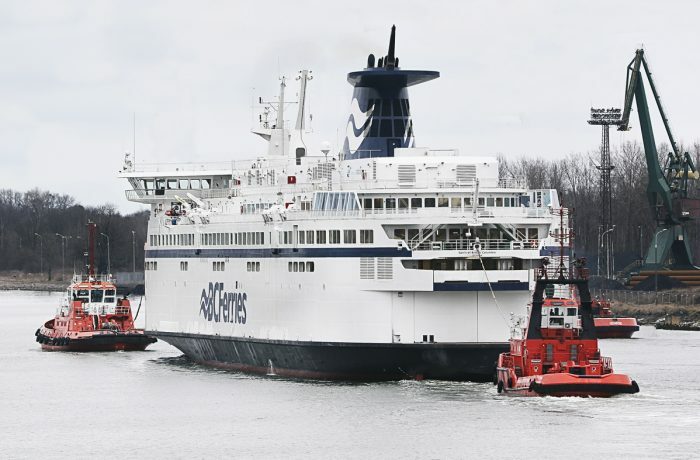 Finnlines is a leading shipping operator of ro-ro and passenger services in the Baltic Sea and the North Sea. The Company is a part of the Grimaldi Group, one of the world’s largest operators of ro-ro vessels and the largest operator of the Motorways of the Sea in Europe for both passengers and freight. 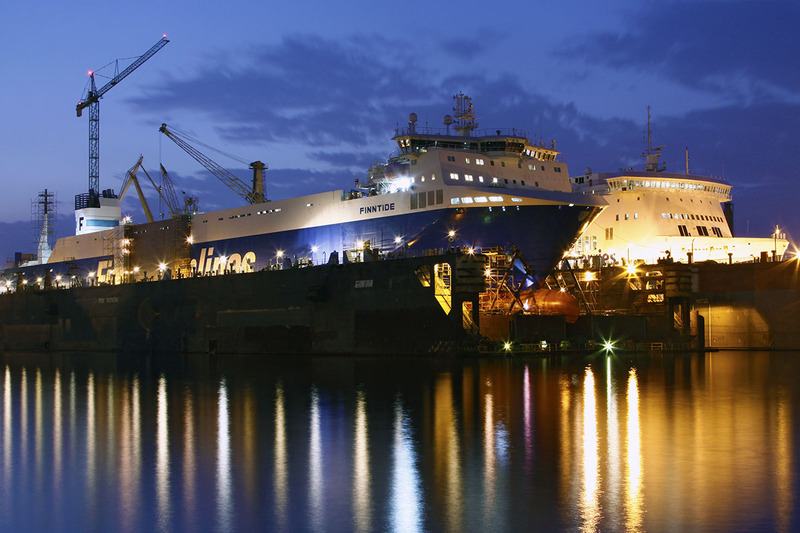 This affiliation enables Finnlines to offer liner services to and from any destination in the Mediterranean, West Africa as well as the Atlantic coast of both North and South America. 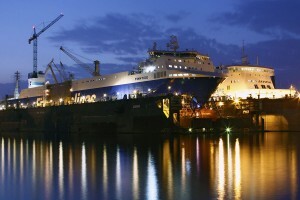 Remontowa Shiprepair Yard SA specializes in repairs, conversions and upgrades of ships and offshore units. The shipyard was established in 1952 and in the following sixty five years Remontowa has become a leader among the European shiprepair yards and a major player on the world market.